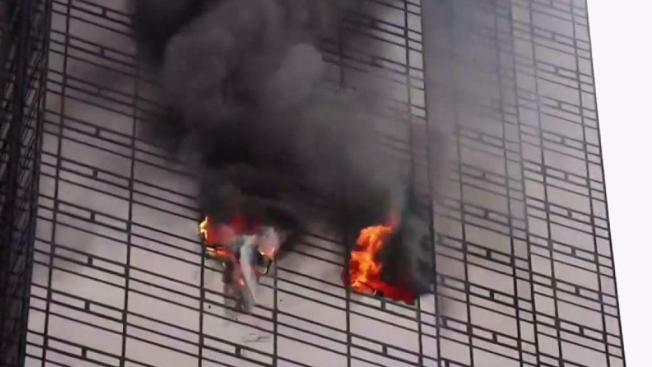 Authorities are investigating what caused a raging fire that tore through a 50th-floor apartment at Trump Tower, killing a man inside and sending flames pouring from windows of the president's namesake skyscraper. Ida Siegal reports. 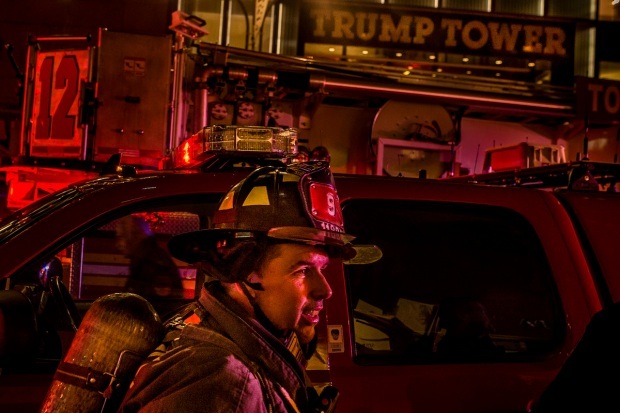 The Trump Organization has filed a lawsuit seeking to reclaim $90,000 in unpaid fees from a Trump Tower resident who died in an April fire at the tower. The board of Trump Tower Condominium — through Trump Organization lawyer Sonja Talesnik — filed the suit in Manhattan Supreme Court late Tuesday against the estate of 67-year-old Todd Brassner seeking the common charges and fees. The New York Post reports Brassner's heirs, Todd and Heather Brassner, did not return calls seeking comment. The New York Fire Department has said the fire was accidental and Brassner's apartment did not have a smoke alarm. The apartment didn't have sprinklers either, due to a loophole in city regulations applying to high-rise buildings like Trump Tower.